This is a tutorial about sculpting a character with ZBrush by Evgenii Komin. You can follow his tutorials on youtube. The videos do not contain explanations but they demonstrate a lot of sculpting methods for adding details and subtools for example. In my opinion the tutorials are great for inspiration and motivation. 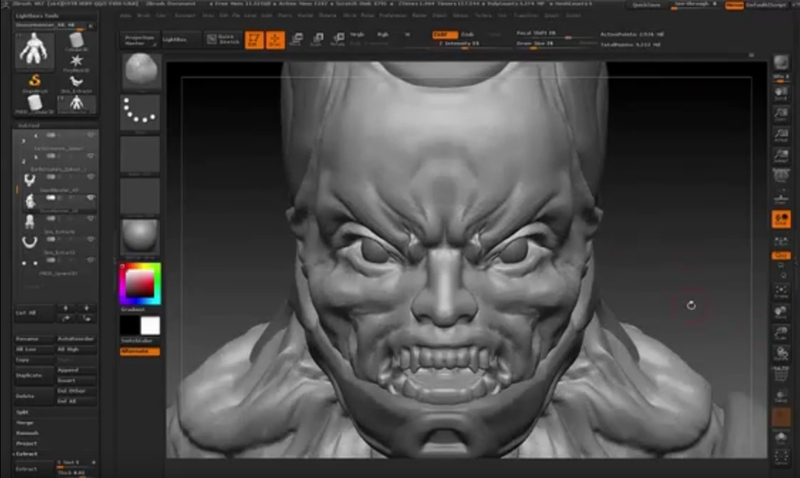 See how he is adding armor using extraction, or finer details for the teeth or the nose.